Colwell mandarin and lemon crushed olive oils are 100% natural, cold pressed and unfiltered. They combine the rich and authentic flavor of fresh citrus with the smooth and enticing taste of mild mission olives. This rocess captures both the sweetness of the fruit and the delicate oils from the rind, and combines it with the orchard fresh, savory, and mild taste of recently harvested mission olives. 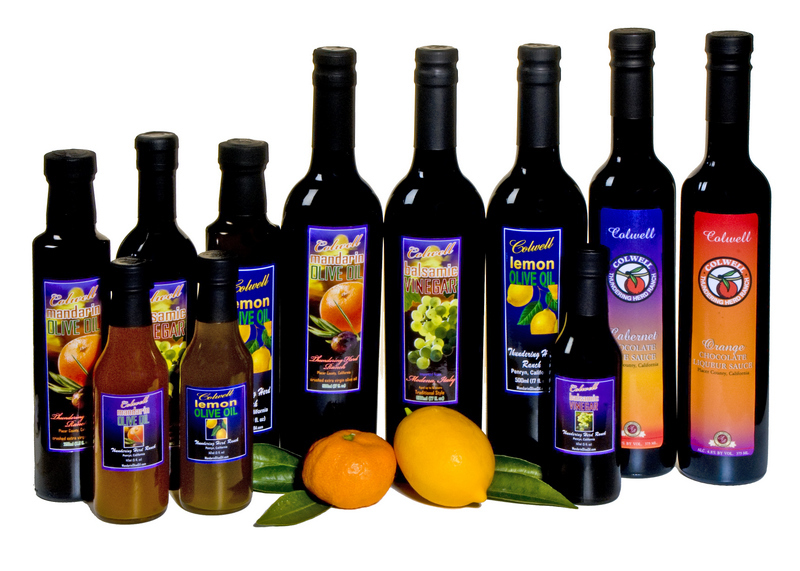 Colwell olive oil and balsamic vinegar products are packaged and priced to provide exceptional value to our customers. With our locally based, low overhead production approach, we are able to offer our products at a 20-30% discount compared to our competitors. Created in conjunction with a noted Napa Valley chocolate producer, Colwell Gourmet Chocolate dessert sauces are an astonishingly tasty way to complete an unforgettable dining experience. Cabernet Wine and Orange Liqueur are blended with chocolate which is smooth in texture and smooth in flavor to result in extraordinary dessert sauces which will transform familiar favorites into memorable after dinner treats which friends and family can enjoy. 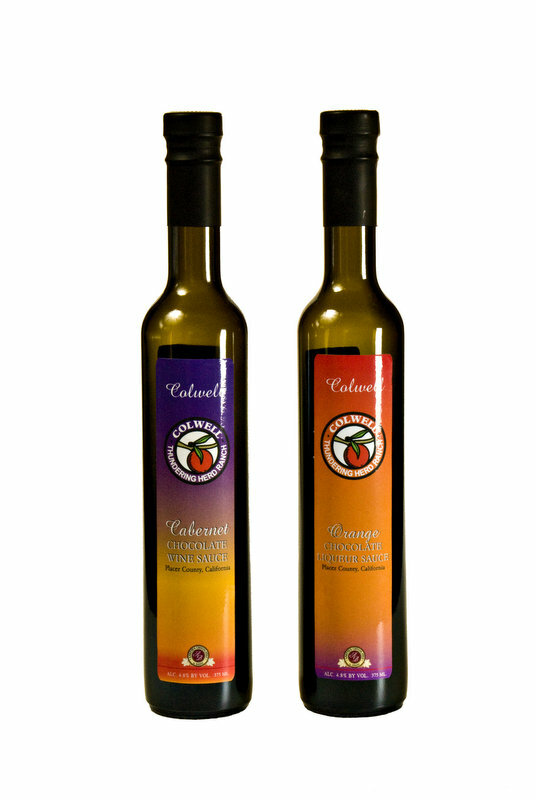 Colwell Cabernet Wine Chocolate Sauce and Colwell Orange Liqueur Chocolate dessert sauces are perfect for enhancing flavor when poured over ice cream, cheese cake, fresh fruit, waffles or other family favorites. Containing 4.8% alcohol, these sauces can added to coffee to create zesty, rich flavored drinks. Mouth-watering, delicious, sweet-tasting, zesty mandarin flavor, the perfect compliment to any cooking experience...these are only a few descriptions of the new line of locally produced Mandarin Barbecue Sauces, Marinades and Fruit Spreads being offered by the Colwell Thundering Herd Ranch in 2013. 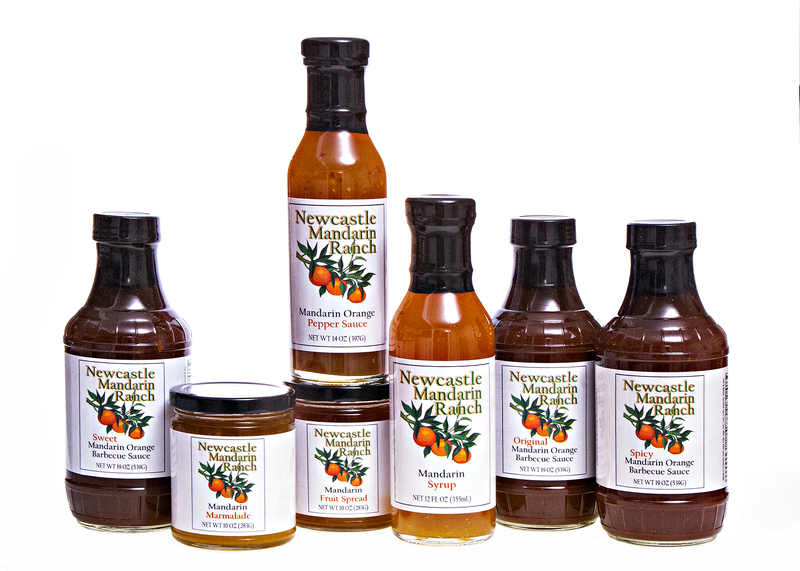 Produced from Placer County Satsuma Mandarins and all natural cane sugar, brown sugar, and spices, these tasty BBQ and marinade sauces are perfect for backyard summer grilling, stir frying dishes, and year round marinades for your chicken, beef, and pork dishes. 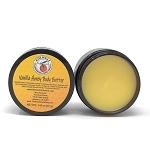 The Mandarin Syrup adds a subtle citrus sweetness to your pancakes, waffles, and fresh toast...and to your ice cream. 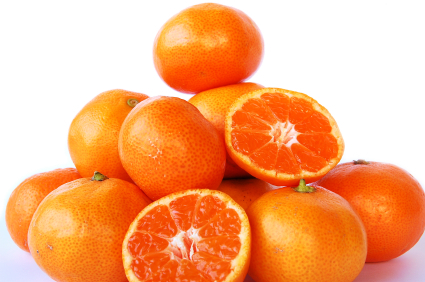 The Mandarin Fruit Spreads provide a wonderful flavor to toast, muffins and crackers and will highlight your breakfast table. These BBQ sauces, marinades, and fruit spreads are an excellent way to bring the perfect blend of mandarin tastes to your table year round. 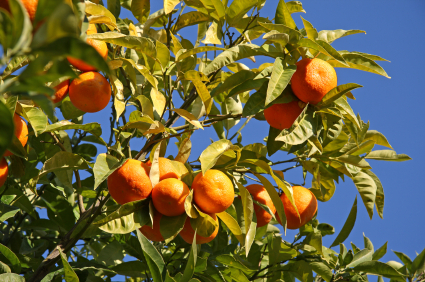 The Thundering Herd Ranch sells sweet, sun-ripened, seedless Owari Satsuma Mandarins and Meyer Lemons hand-picked from our trees. Ranch grown Fuyu and Hachiya Persimmons are also grown in the orchard and are available for sale. Our farm fresh, naturally grown fruit can be purchased directly from our ranch in Penryn, or shipped nationwide, with the exception of Hawaii and Arizona based on U.S. Department of Agriculture regulations. All orders for shipping will be sent via the U.S. Postal Service Priority Mail which provides 2-3 day delivery to locations within the continental United States. Each order consists of fresh from the tree field run (large, medium, and small size) fruit. Shipped mandarins (boxed sunshine), are an outstanding and much appreciated holiday season gift for Thanksgiving, Christmas, and New Year, and will be accompanied with a personalized season’s greeting card. They also make a very well received business gift.